You are currently browsing the tag archive for the ‘Illam’ tag. Mithila when Janak ruled as the King. Janaki (or Sita), daughter of Janak was married by Ram, the son of King Dasratha. For the marriage king wanted his son in law to be brave enough to handle the bow of lord Shiva. Janak arranged a festival calling the entire prince of neighboring countries and announced that anyone who could lift the bow he Janaki would marry the price. Nobody could lift the bow. At last prince Ram tried, surprisingly not only did he lift the bow, he broke the bow while putting an arrow on it. The bow was broken into three pieces, one piece went to heaven, second fell to the hell from where water started to come out and third one (the middle part) landed on the Dhanushadham. The journey to these historic places started from Illam after finishing the works (16hrs per day) at the field office of Mai hydropower project. On the next day after staying at Mirchaiya (at Nishant’s) we planned the circuit tour of Dhanush temple- Janakpur- Jaleshwor. Haat bazzar at Mirchaiya was as colourful as the rainbow while the reflection of setting sun on the pond was amazing. Dhanush Mandir (the bow temple) located at Dhanushadham still preserves the bow of lord Shiva that Ram broke. 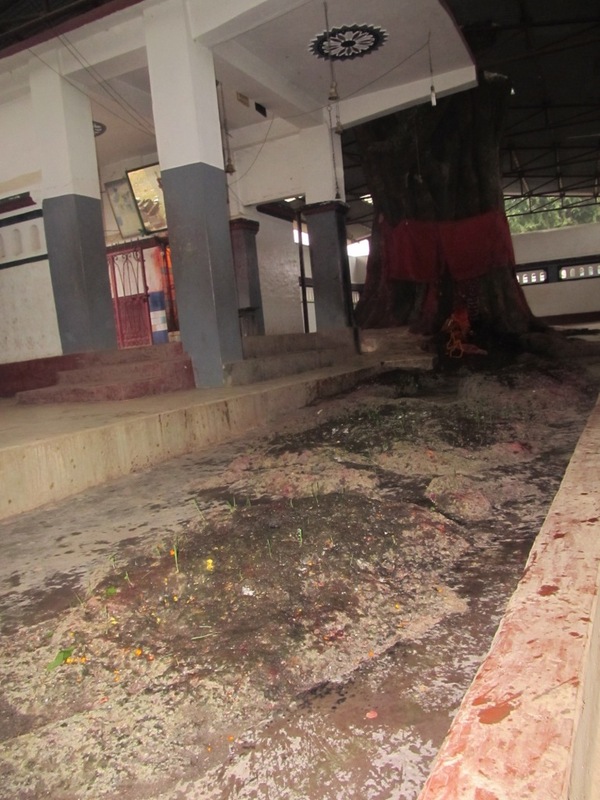 Scientifically, there is a tree at the temple whose root is growing in the shape of Dhanush (the bow). 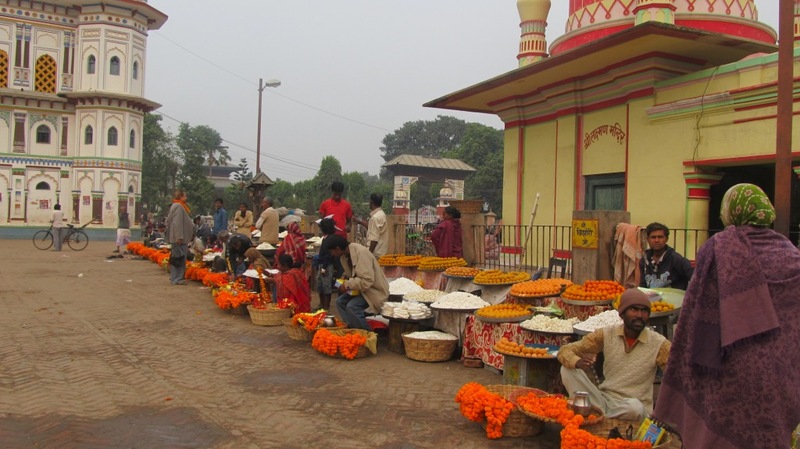 Dhanush temple is about 20km from Dhalkebar, and about 123 km south east of Kathmandu. 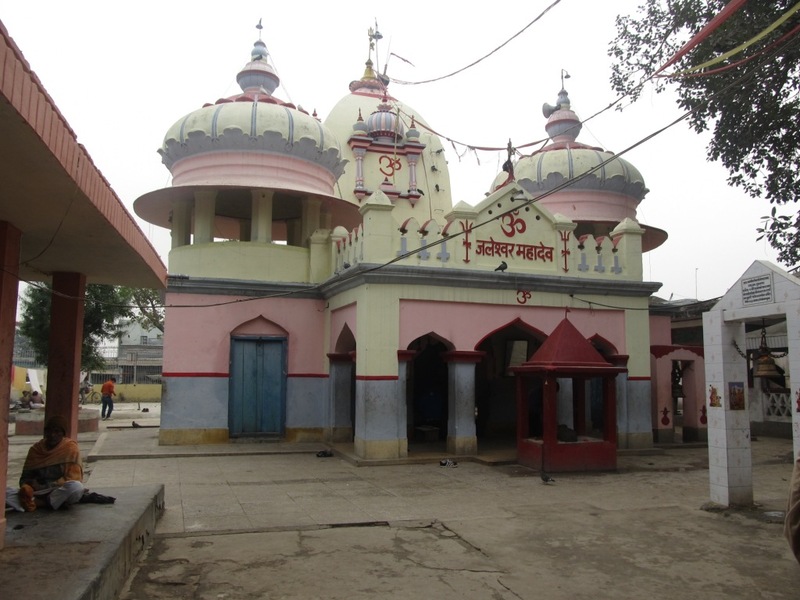 The temple lies in the mid of terai village of Nepal. Beside Dhanush temple there is Ram-Janaki temple which has beautiful carvings on its wall. Mithila is also famous for art and culture. And a glipse of this beautiful art could be seen at this temple. 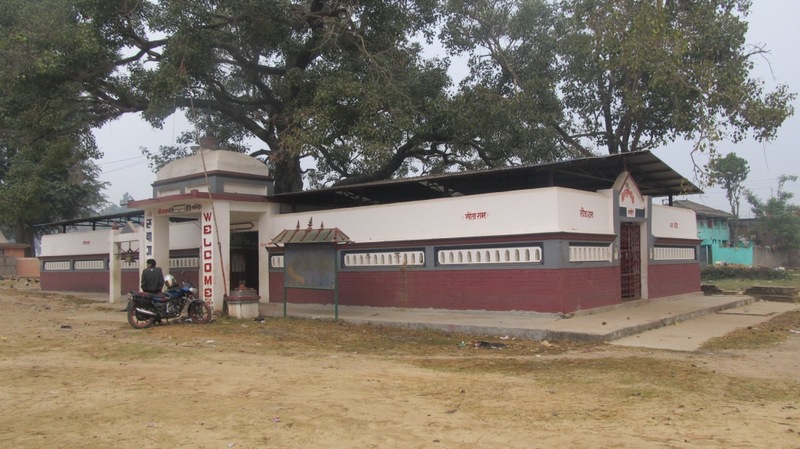 After Dhanush temple, next spot was the capital of Mithila, Janakpur. Janakpur is about half hour ride from Dhanush temple. Janakpur is filled with ponds and fishes and temples. Sankata temple, Das Vigha (open field), Ram Mandir and many other temples beautifies this place. 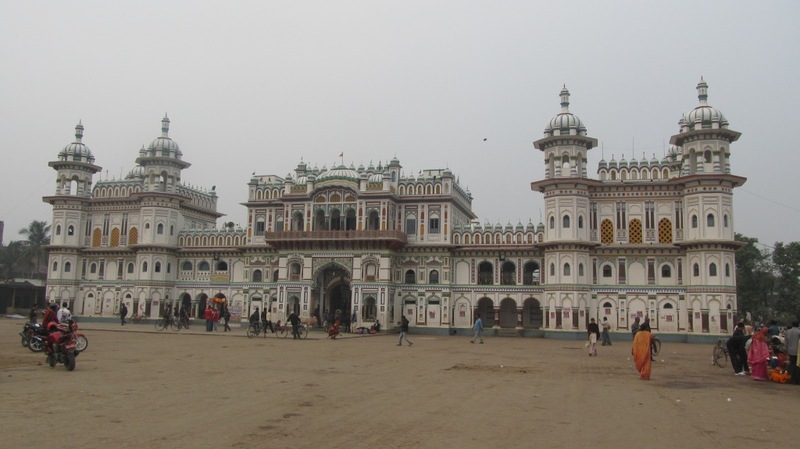 However the center of attraction is the Janaki Temple. 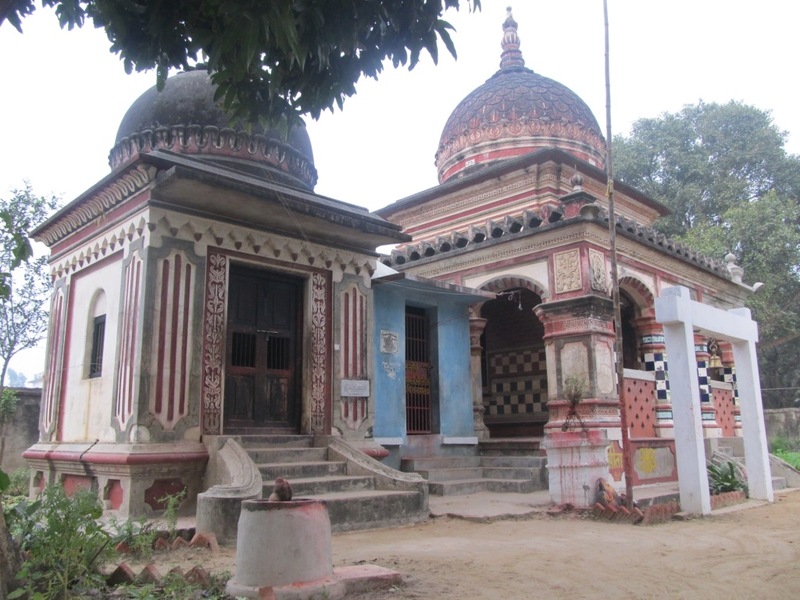 This temple is the evidence of richness of Mithila art. It also signifies the glory of this historic kingdom. Bibah mandap where Janaki and Ram were declared husband and wife is also located on the side of Janaki temple. A garden is maintained and idols of Ram, Janaki, Janak and other people are put in this temple. During Bibha Panchami (the anniversary of Ram- Janaki wedding) a big festival is organized in this city by the devoted Hindu pilgrims. We left Janakpur and headed towards Jaleshwor where lord Shiva was supposed to rest inside the water. 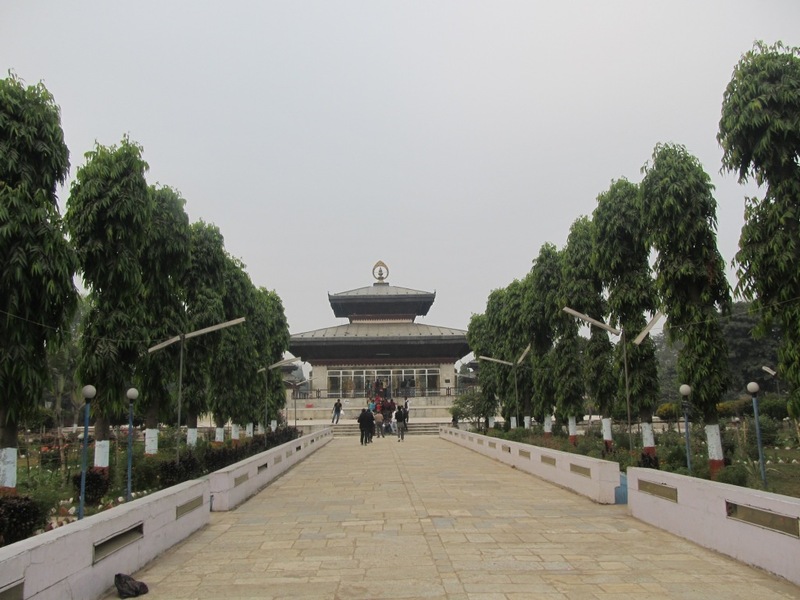 Jaleshwor is about 45 minutes ride from Janakpur with narrow road. Jaleshwor is a small town with people of terai origin. Jaleshower got its name from the name of temple itself. The temple is surrounded by ponds. From Jaleshwor there is shortcut route to meet the Mahendra Higway at Lalbandi. We followed this route while returning back. As observed during the tour, the whole circuit area lacks sanitation measure. People were seen in the fields to empty their stomach and children were on the street. There seemed no proper toilets in this area.